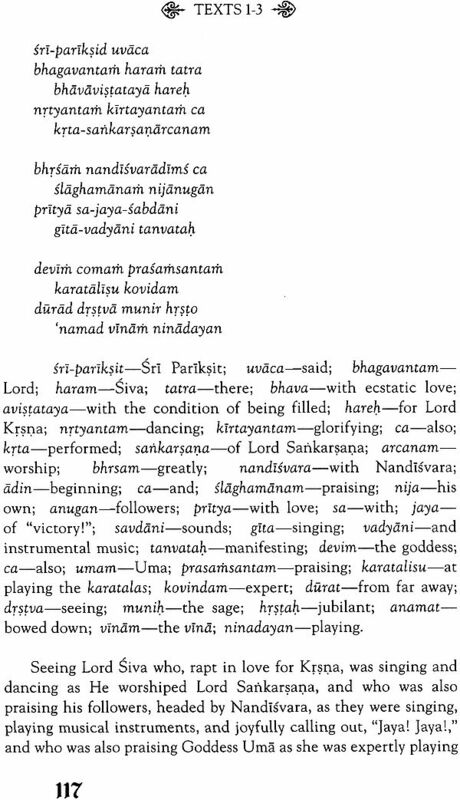 In the Bhakti-ratnakara of Narahari Cakravarti, the descendents of Sri Sanatana Gosvami are described as follows: "Once, there was a famous brahmana named Sri Sarvajna Jagatguru who was a respected Yajurvedi of the Bharadvaja caste. He was the King of Karnataka, who was adored by all other contemporary kings, and who was a great scholar of all the Vedas and a very fortunate person. 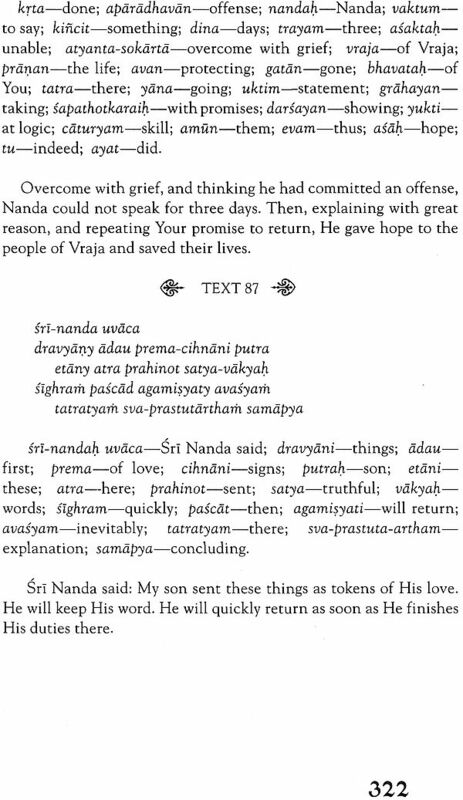 "His son, Anirudha deva, was as spirited as Lord Indra and more famous than the moon. He was a proficient scholar of the Vedas and a favorite of the reigning kings at that time. His two queens were also famous. 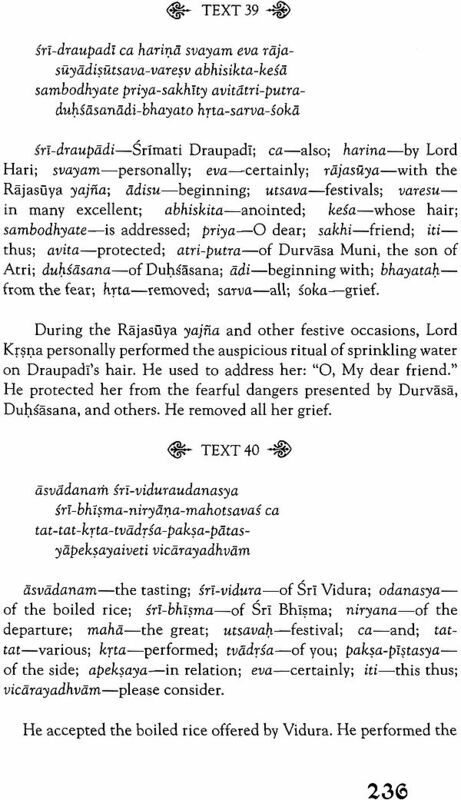 Aniruddha deva's sons, Rupesvara and Harihara, became well-respected for their virtuous qualities. The elder brother, Rupesvara, earned his fame as a scholar of sastra while Harihara became a master in the science of weapons. After their marriages, their father died, leaving the administration of the state in their hands. However, the younger brother, Harihara, soon snatched the administration from the hands of his elder brother. Having lost all power, Rupesvara and his wife traveled to Paulasthadesa in a chariot pulled by eight horses. Sri Sikharesvara befriended him and convinced him to settle down there. 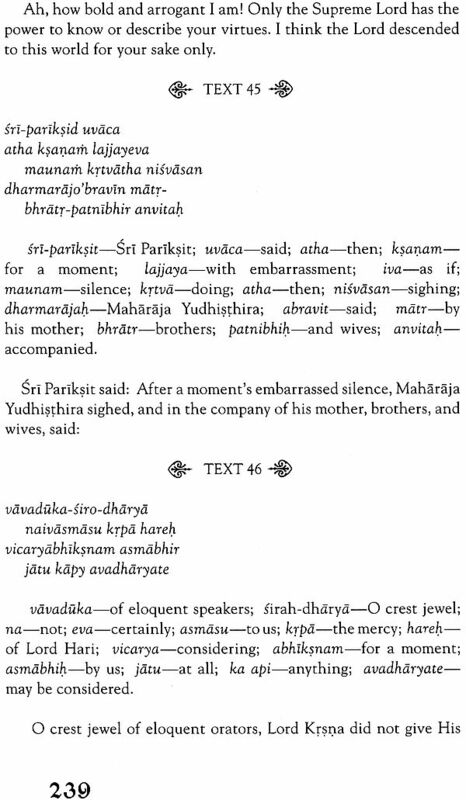 "Sri Rupeswara's son, Padmanabha, was a beautiful child and a genius as well. He learned the four Vedas so easily that he became famous simply for that alone. A man of impeccable character, Padmanabha was genuinely absorbed in love for Lord Jagannatha. 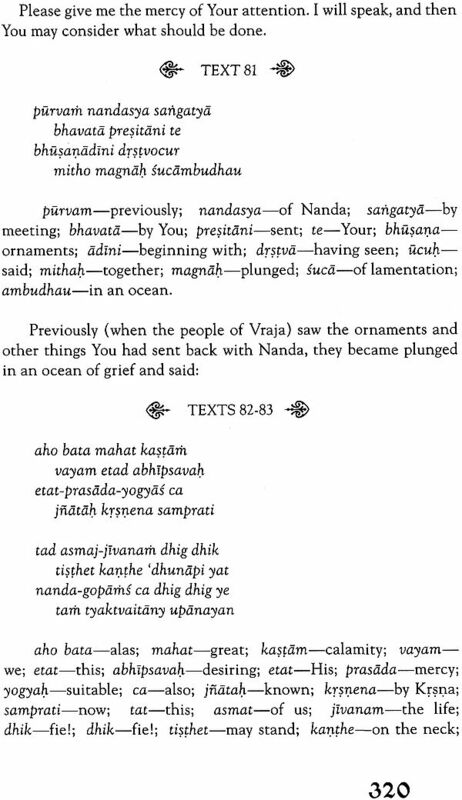 Padmanabha left Sikhara-bhumi and went to reside on the bank of the Ganges. He lived in the village, Naihatti. 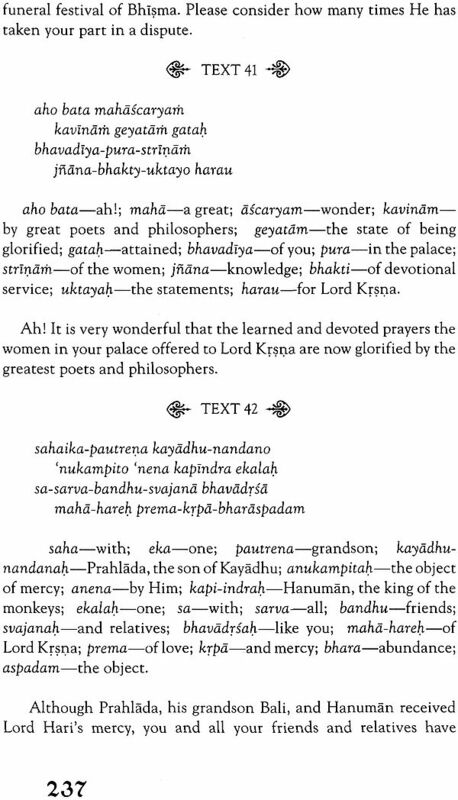 In Naihatti, Padmanabha worshipped the Deity of Sri Purusottama. By performing a sacrifice, he received eighteen daughters and five sons. "The names of his five sons were Sri Purusottam Jagannatha, Narayana, Murari, and Mukunda. His eldest son, Sri Purusottama, and the youngest son, Sri Mukunda, were the best of the five sons in terms of experience and character. Sri Mukunda deva's son, Sri Kumara, was the light of the brahmana family and a highly virtuous man. He always engaged himself in worship privately and became afraid if any evil soul came in front of him. If, by chance any non-Hindu walked in front of him, he would immediately perform some penance and would not eat rice. Because of some family difficulties, he became very disturbed and then one day, left the village, Naihatti. "Sri Kumara went to present-day Bangladesh with his followers and settled at a village named Bakla-chandradwipa. There was a village named Fateavada in the district of Jessore, where he built a house for the convenience of Vaisnavas of different places. 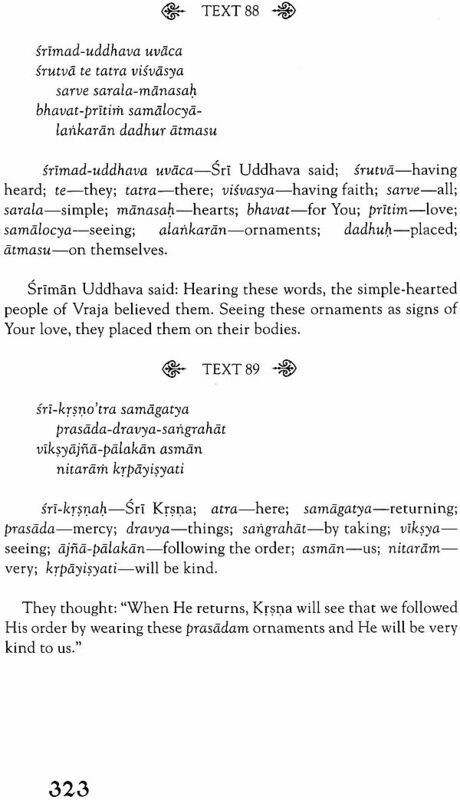 "Among Kumardeva's many sons were Sanatana, Rupa and Vallabha, who became the life of the Vaisnava community." 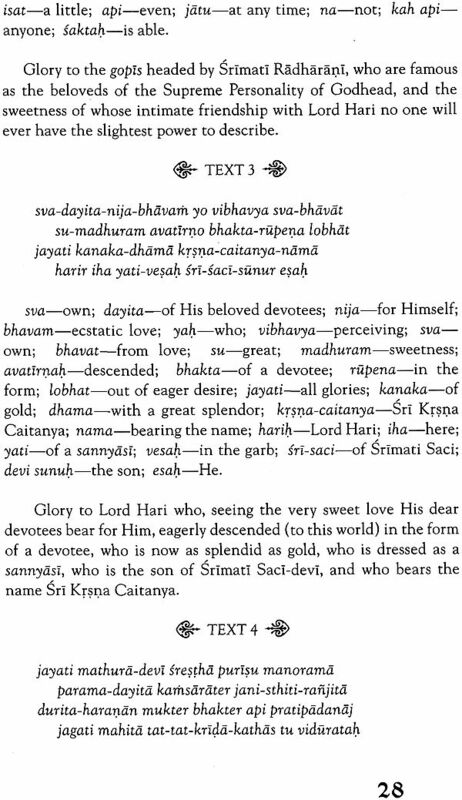 The life of Sanatana Gosvami is mostly understood by reading the Sri Caitanya-caritamrta of Srila Krsnadasa Kaviraja Gosvami. Therein it is described how Sanatana Gosvami, who ws formerly known as Sakara Mallika, was in the cabinet service of the Bengal government under the regime of Nawab Hussain Shah. Sanatana Gosvami was a very learned scholar in Sanskrit, Arabic, and Persian, but because he accepted the service of the Muslim king, Nawab Hussain Shah, he was rejected by orthodox Hindi society. It is said that Sanatana Gosvami almost became a Muslim and thus had changed his name to Sakara Mallika. Srila Prabhupada: "So you have to convince them. Why should you allow them to remain as rascals? You have to preach. See the intelligent persons and convince them. Yad yad acarati sresthah (Bg. 3.21). Pick up the best man. Caitanya Mahaprabhu, He picked up the best man. Sanatana Gosvami, Rupa Gosvami and so His movement became successful. 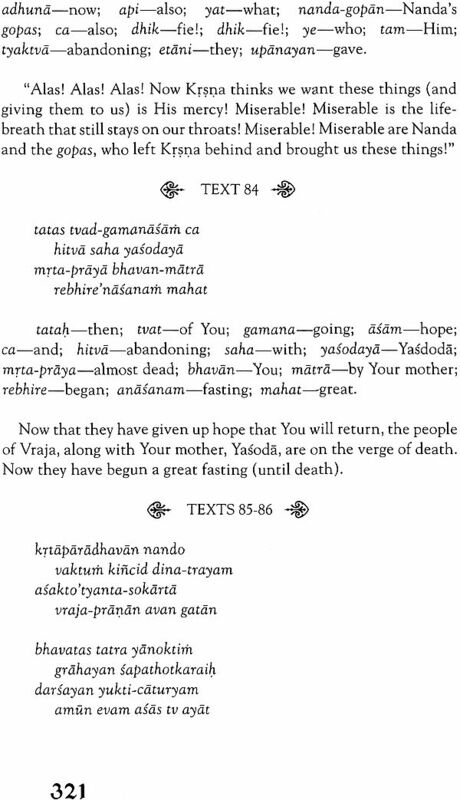 Sanatana Gosvami was not an ordinary man. He was very educated, a learned brahmana and minister, and Caitanya Mahaprabhu picked him up. Picked up means by His preaching they became converted. Similarly, pick up a person like Sanatana Gosvami, who is intelligent and in a good position, and try to convince him. Why will he not be convinced, if he is a human being?" 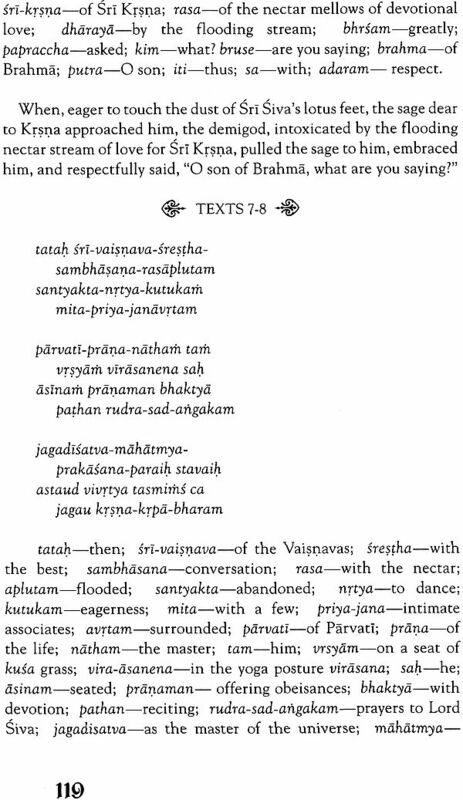 The importance of Brhad-bhagavatamrta is described in the Sri Caitanya-caritamrta (Antya 4.218-19): Srila Rupa Gosvami and Sanatana Gosvami collected many revealed scriptures, and from the evidence in those scriptures they excavated all the lost sites of pilgrimage. Thus they established temples for the worship of Lord Krsna. 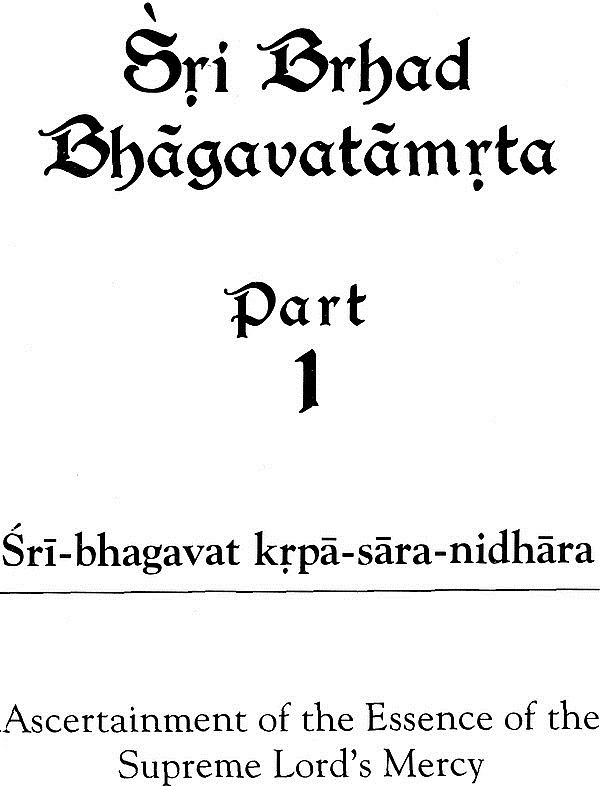 Srila Sanatana Gosvami compiled the Brhad-bhagavatamrta. From this book one can understand who is a devotee, what is the process of devotional service, and who is Krsna, the Absolute Truth. 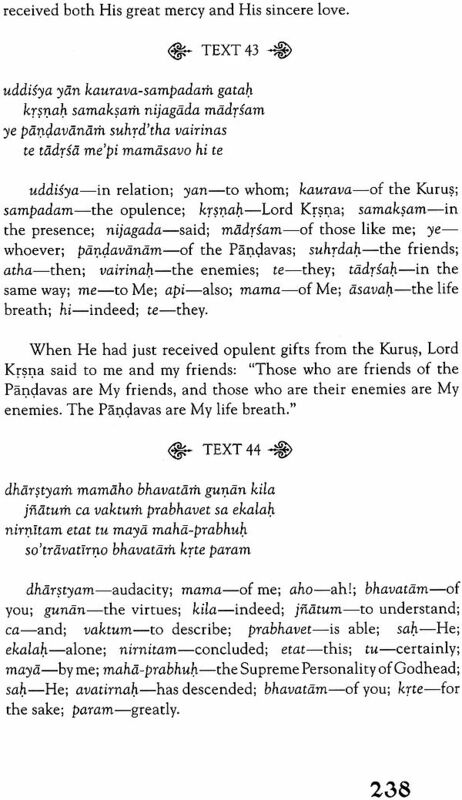 In a purport, Srila Prabhupada wrote: Sri Sanatana Gosvami Prabhu, the teacher of the science of devotional service, wrote several books, of which the Brhad-bhagavatamrta is very famous; anyone who wants to know about the subject matter of devotees, devotional service and Krsna must read this book. In this first part of Brhad-bhagavatamrta, Narada Muni sets out on a quest to find the person or persons who have received the mercy of Lord Krsna to the greatest degree. This quest leads Narada to the heavenly planets, the abodes of Brahma and Siva, the palace of the Pandavas, and finally to Dvaraka, where Lord Krsna was residing. It was there that Narada Muni came to the conclusion that the residents of Vrndavana were the foremost recipients of the mercy of the Lord. 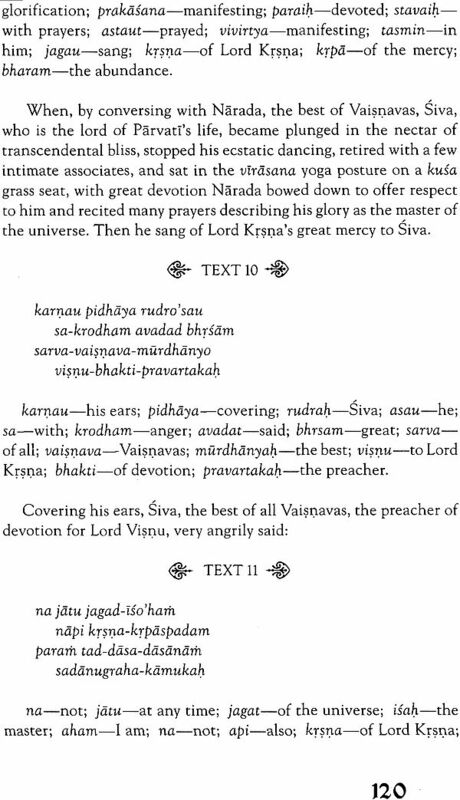 I found it most interesting how, as Narada Muni approached one exalted personality after another, glorifying them as the true recipients of Lord Krsna's mercy, they all felt terribly embarrassed and, instead of wallowing in such glorification, pointed out someone else as being a much better devotee. Certainly, humility is the crest jewel of the good qualities possessed by sincere devotees of the Lord. 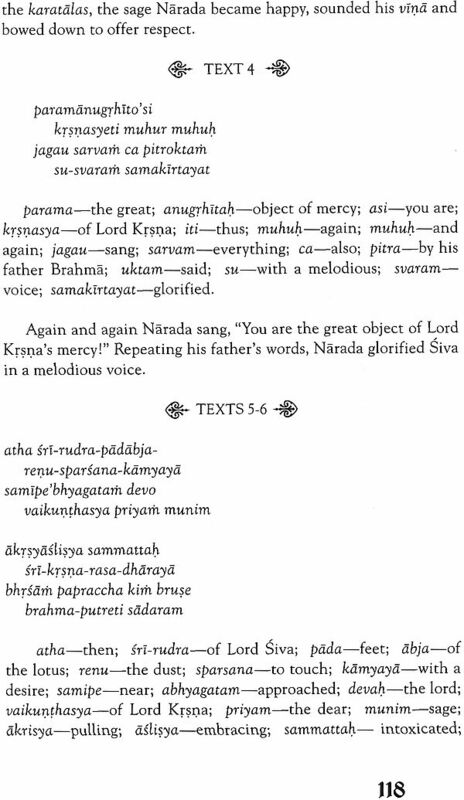 As to be expected, this English rendering by Kusakratha Prabhu is very poetic and relishable, making the story come to life, so that there is vivid clarity of meaning. It was a great pleasure for me to go through this book and I am confident that you will have a similar experience. Glory to He who is a great ocean of many sweetness, who is scented with the fragrance of youth, and who, in the form of Sri Caitanya Mahaprabhu, descended (to this world) to give pure love for His own lotus feet and to personally taste the perfected eternal love felt by the gopis.